I was faced with a problem very often. I send an email to someone who needs to respond to me about something. That someone does not respond. I have moved on to other things. A few days later, when I need the information that I was supposed to receive, I remember that I never got a response! This happened so frequently that I was desperate to look for a solution to this problem. 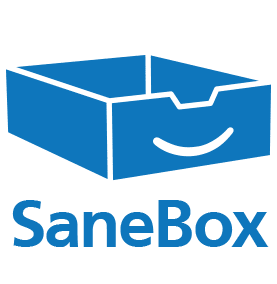 A friend recommended Sanebox. With this, all you need to do is cc or bcc something like 1day@sanebox.com and you're done! If, within a day, you don't receive a response to the email, Sanebox reminds you by sending you an email. And the '1day' needn't be just that. You could do things like 1week, 4hours and many other such time periods. You can also set it to remind you on a particular date and time. There is a trial version you can sign up for which is free and after that, if you like the service, you can sign up for the full version - available at between $3.25 to $24.92 per month for various amounts of emails. I pay about $7 a month and have found this to be a really handy tool. I use this all the time! Another feature that could be useful to some is the concept of "Sane Later" which is a folder you move any email (and the tool learns as you do this and automatically starts moving) to that is not important at the moment and can be seen later. In this age when we are all flooded with tons of email, this can be a very useful feature. This feature however works only with IMAP and not with POP, which I use now. These days, we're all grappling with an email overdose. Small tools like this really go a long way in making us more productive and making sure we're doing things that are important and not missing out on stuff that really needs to get done.